Don’t wait for confidence. Find it! WOTD: Acquiesce, a verb which means to accept something but without protest. We had two Ice Breaker speeches. Titled ‘Keep Searching’, TM David Lim shared bits and pieces about himself, his family’s background, his studies and his current entrepreneurship. He concluded in his speech to keep searching if we have not found what our passion is. 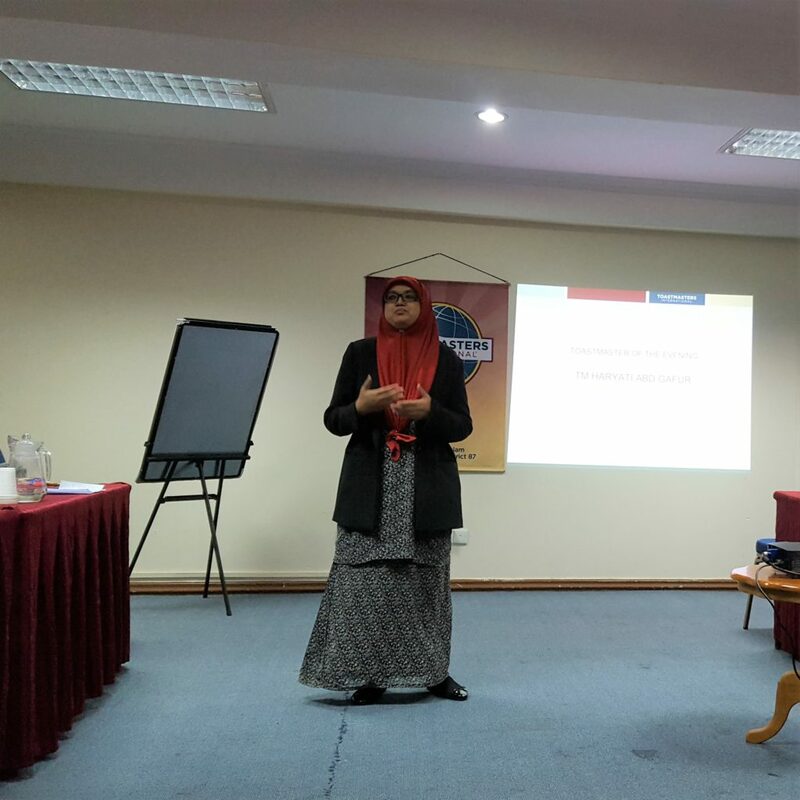 In his speech titled “Most of my Time”, Hazwan Kamarulzaman, ACB, ALB, shared his experiences studying for ‘the’ exam and inspired us to spend the time, when an opportunity knocks and opens up itself. We had 6 Table Topics speakers. The best Table Topics Speaker was Pranika Lama, ACS, ALB, ‘What are you not confident about? 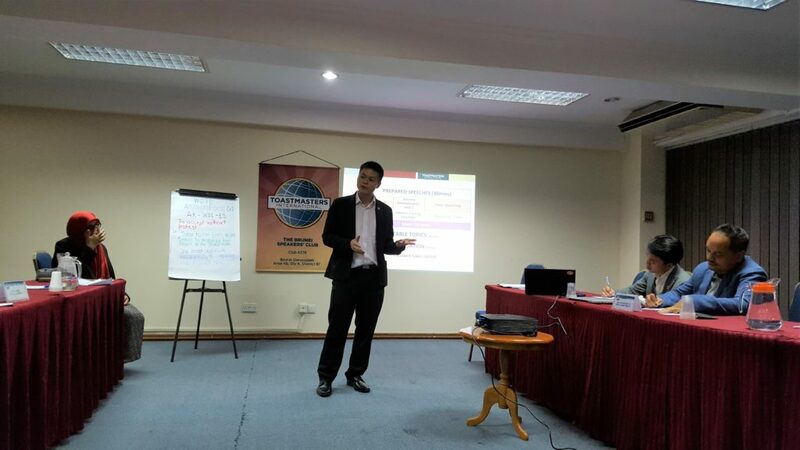 How do you overcome it?’ Also commended by TTE Supatra for being the only speaker with well-rounded conclusion (wrap up, reemphasize and conclude). Best evaluator was Rano Iskandar, ACB, ALB, who focused both on quantitative and qualitative Ah Counter evaluations as well entertained us with his range of easy, medium and hard levels of difficulty in his Who Said What Quiz. 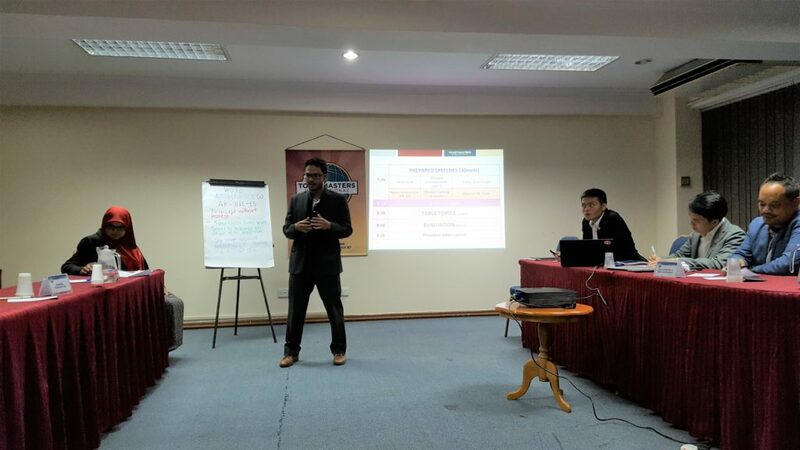 Aziman Nasir, ACB, ALB, closed his presidential remarks by applauding our members’ professionalism throughout the meeting when there is no guest and just us, a good total of 15 members (11 Brunei Speakers’ Club and 4 UBD Toastmasters Club members).